Your property is a great investment that should be given with the utmost attention, and Trusted Pest Management is here to help protect your precious possession from any type of bugging pests with child, pet, and family-friendly property pest control solutions. 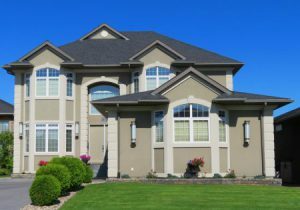 Trusted has always been there over the years, providing the best array of proven pest property control maintenance services and treatment for real estate properties, homes, and big or small apartments. We address any kind of problems going on in your property from cockroaches, rats, birds, mice, to termite infestation. Any possible threat from different pests can be present inside your home, if not now, sooner. Little did we know, these pests can be destructive and can create tremendous damage not just to our belongings but also to our health. A lot of pest-related health issues have continued to rise and that doesn’t mean you and your family or pets couldn’t get affected. The only way towards a safer and more ideal home is to keep it a pest-free space. Fortunately, pest control measures come handy these days. With readily available staff and careful selection of products we have at Trusted, rest assured we do not only keep your home free from annoying pests but keep your home secure and safe to live in for your family and your pets. Not just proactive and focused on all your pest issues, we are also 100% eco-friendly! We always see to it that we eliminate pests in your areas with ZERO-hazardous tools and products that are proven to be safe for your family members, kids, pets, and to the environment. As mandated by law and for the welfare of wildlife, we always implement Environmental Pest Management (EPM) and Integrated Pest Control (IPC) services in all our operations. That said, our pest control methods are always knowledge-based and are carried out rigorously NOT to harm nature and human health as much as possible. So is your home well-protected from pests? Have you started noticing any sign of pest infestation? Why not give us a call for a free inspection?